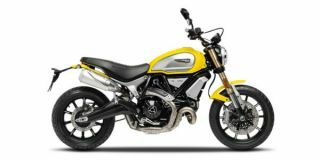 Ducati Scrambler 1100 price in Bangalore starts from Rs. 10.91 lakh (Ex-showroom). Scrambler 1100 is available in only 3 variant. Ducati Scrambler 1100 Special is priced at Rs. 11.12 lakh and the top-end variant Ducati Scrambler 1100 Sport is priced at Rs. 11.42 lakh.